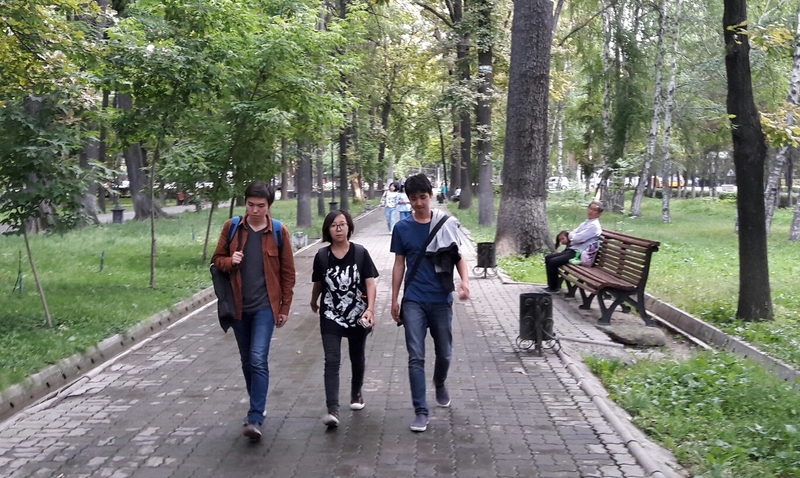 BISHKEK -- A UN-funded project operated by the Bishkek-based Search for Common Ground (SCG) NGO is helping fight extremism. SCG in April began running Jashstan (Land of the Young), an offshoot of Resolution 2250, which the UN Security Council adopted in 2015. The resolution calls for attention to "youth, peace and security". SCG has about $1 million (68.5 million KGS) of UN funding available for the project, Akylai Karimova, the project manager and an SCG member, told Caravanserai. That funding marks the first time that the UN Peacebuilding Fund has ever given such a large grant to a non-UN organisation, she said. 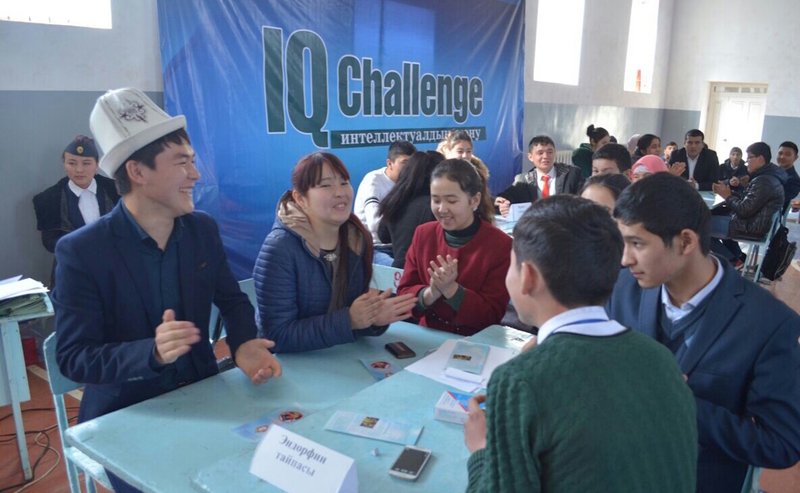 "The project calls for covering 40% of all the youth centres in Kyrgyzstan's regions," she said. "[Those centres] have been operating nationwide for several years now. They organise recreational, cultural and educational events for youth." The project will give government agencies and youth more space to communicate with each other, enabling them to team up to build peace and prevent extremism in various villages, districts and cities, she said. The project is focused on four areas -- factors -- in the radicalisation of Kyrgyz youth, Karimova said. "The first aspect of getting youth involved in extremist organisations is the lack of possibilities for youth to develop themselves," she said. "The second factor ... is an identity crisis. The third is a weak connection – or the absence of one – with relatives and the older generation; youth do not communicate with their elders but are always on social networks ... parents don't know what is going on with their kids." The fourth factor facilitating the spread of extremist ideas among youth, said Karimova, comes from them being unable to express their needs to authorities. "Young Kyrgyz do not have the possibility to be heard, and they cannot influence local policy," Karimova said. "We organise meetings between youth and local government officials." Bakhtiar Nurmatov represents the Jashstan project in Osh and with other young leaders is helping local youth to solve the issues they face. "First of all, we try to find out what are the main concerns for ... young Osh residents," he said. "Then we help them reach out to local officials." "Mostly their concerns are access to quality education and jobs," he told Caravanserai. "If we help youth solve these issues in time, they won't have reason to join extremist movements." "Peace-building projects include creating athletic fields in villages, setting up sports clubs and dance classes, starting foreign-language classes and other courses," said Karimova. "In one village, the guys wanted to clean up the park: put in benches and trash cans and install lighting so that youth could socialise there. The project also has training courses to help youth develop leadership qualities." Since the inception of Jashstan, SCG has reached 1,500 local residents in every province except Batken. It is working closely with 162 Kyrgyz aged 14 to 28. "These are high school and college students; there are those who are not studying anywhere," Karimova said. "Before the end of the project, we intend to reach about 4,000 people. The project's goal is to do everything to make sure that youth can resist the influence of radical ideas." In the spring, a Kyrgyz radio station aired a one-hour broadcast as part of Jashstan during which participants and journalists discussed prevention of radicalism among youth. NGOs and international organisations play a major role in preventing youth radicalisation, say analysts. "Law enforcement agencies work to ensure public safety, which means preventive work and arrests," Ikbaljan Mirsaitov, a Bishkek-based security and religion analyst, told Caravanserai. "International organisations, and NGOs, operate differently." Kyrgyzstan is experiencing a demographic boom: 30% of the country is young [defined by the government as 14 to 28], and about 10% of young Kyrgyz are working abroad," he said. "It is impossible to identify clear-cut causes for radicalism. It could be inter-ethnic or social factors, and you can't say that the main reason is religious illiteracy." Involving youth in active leadership and community building helps dissuade them from religious extremism and radicalism, project co-ordinators say.